Click here to see complete info in our ATT Catalog. Work with clients one-on-one to provide healing through a comprehensive range of therapeutic techniques. Help clients get out of pain within a few sessions, and support dedicated students in reaching new levels of inner opening. Gain a profound understanding of the healing process and how to guide them through it smoothly and easily. How Do I Become a Svaroopa® Yoga Therapist? 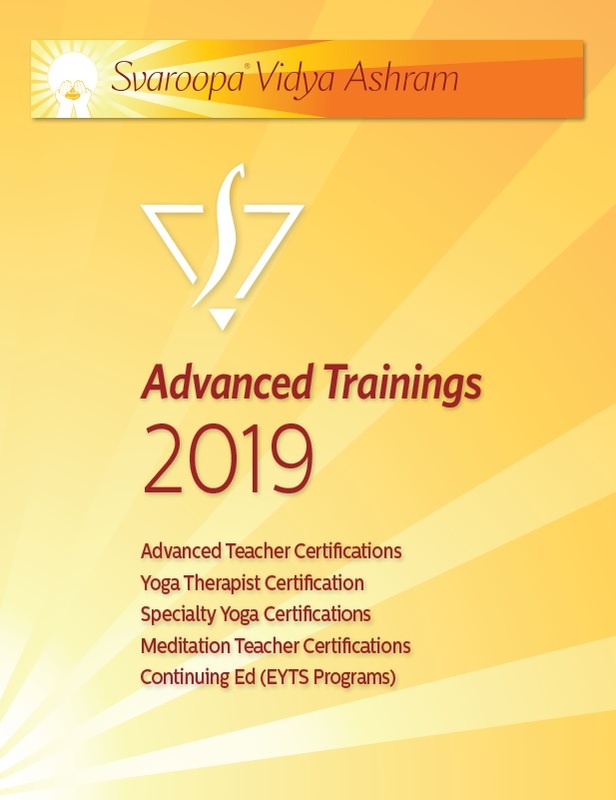 Once you are certified as a Svaroopa® Yoga Teacher and in Yoga Classroom Therapeutics, you need only three PYT (Professional Yoga Therapist) trainings: PYT 262, PYT 463, and PYT 464.. Learn how to treat private clients who are in pain, regardless of its cause, with profound therapeutic techniques that take you beyond your Embodyment® training. Develop your understanding of the medical profession’s approach to pain and study ancient sutras that explain the cause and treatment of pain from a yogic perspective. Gain a profound sense of confidence to bring to clients, based on this comprehensive training in how to treat pain and rapidly advance the healing process. Learn new therapeutic techniques for neck & shoulder problems, including specialized Embodyment® techniques, new poses and advanced adjustments. Further your understanding of the healing process and the underlying map of existence through deeper study of the Pratyabhijnahrdayam. Help your clients understand the mental and emotional components of their pain by including vichara techniques in their sessions. Increase your private clientele and the benefits you provide them through these deeper techniques and your expanded confidence in them. Complete your certification as a Svaroopa® Yoga Therapist! Prepare yourself to handle clients with more challenging conditions as well as experienced students and clients who want to go deeper. Learn more about the medical perspective on anatomy as well as how Svaroopa® yoga works on the spine, knees and feet. Develop a whole new set of therapeutic tools and skills, including specialized poses and adjustments for ever-tricky knees. Complete your study of the Pratyabhijnahrdayam, and deepen your ability to support your clients in both their physical and emotional re-patterning. For formal certification as Certified Svaroopa® Yoga Therapist, click here.